When you have as many problems with the law as Kim Dotcom there are a few things you can't do without - a regular supply of headache pills, unfaltering family support, and a crack legal team. While Dotcom's lawyer bills continue to skyrocket, the Kiwi taxpayer is also having to foot an ever-escalating bill. Latest estimates show that almost 10,000 hours have been invested in the case, at a cost to the public of US$ 1.6m. 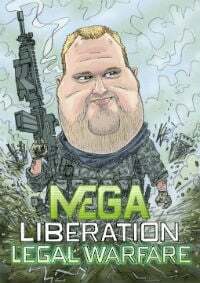 For years Kim Dotcom and his Megaupload associates lined the pockets of lawyers in several countries, a regular business expense for anyone running a large business with worldwide reach. But by early 2012 the revenue streams had not only dried up, but all existing assets had been scooped up by United States, Hong Kong and New Zealand authorities following raids against his now-defunct Mega empire. Since then Dotcom and associates Mathias Ortmann, Finn Batato and Bram van der Kolk have been engaged in a non-stop and seemingly never-ending legal battle on several fronts. On the one hand the Internet entrepreneur is fighting off an aggressive United States government, who wish to see their prey extradited to face copyright infringement charges. For this Dotcom has a legal team run by Ira Rothken, who together have spent hundreds of hours on the case. In New Zealand a parallel process is being played out, with Dotcom and his co-defendants not only fighting extradition, but an illegal raid against his home and property in January 2012, damages against both the police and NZ spy agency GCSB, and efforts to have his assets released. All of this requires money – lots of money – and over the last 19 months the time invested and associated costs have being increasing at an alarming rate. But of course, costs are also being accrued by those on the other side, whose ultimate aim is to send Dotcom to the United States to face justice. Costs to the US taxpayer have not been revealed but according to the latest estimate by NZHerald, lawyers fighting Dotcom on behalf of the New Zealand government have already run up bills of around $1.6m (NZ$2m). They have investing around 9,693 hours in the case so far, with a further 200 hours having been billed to outside counsel. While cash to finance the government action is coming from the public purse, Dotcom is having to pay his own bills. Even that isn’t simple – he’s also having to fight to have millions seized in 2012 returned to him. In August last year Justice Judith Potter allowed Dotcom to borrow approximately US$4.83m against a government bond. The amount released was destined to cover New Zealand-based legal bills and pay rent on his Coatville mansion. Those funds won’t last forever and in the hours to come they’ll take another hit. Today the Supreme Court will hear an appeal on whether the Megaupload founder and his associates will be permitted to see the evidence the United States has on them, or whether the New Zealand government should simply accept the US government’s word that there is a case to answer and send them for trial. Whatever the outcome, Dotcom will continue to burn through money in defending his case, the final bill for which is likely to be substantial. In May this year he estimated that total costs would probably play out to US$50m.